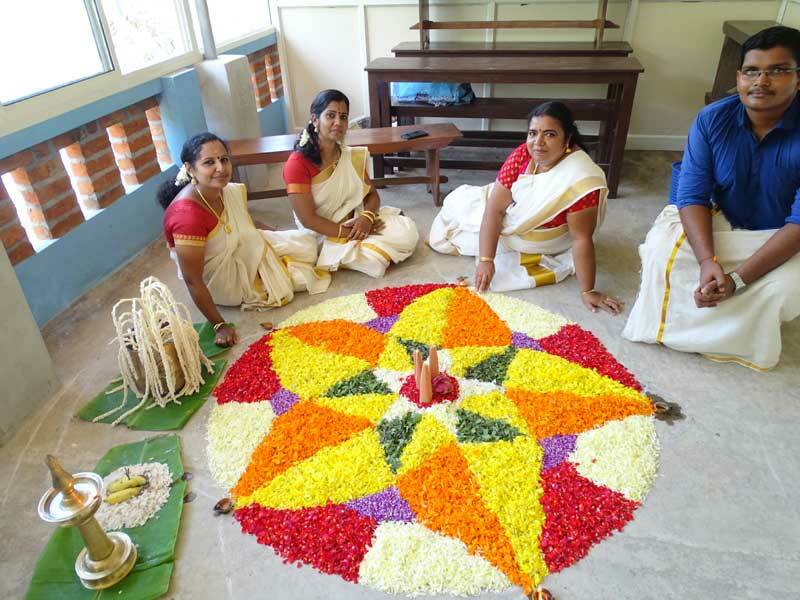 The term concludes in a befitting manner with Onam celebrations. The day was celebrated with much fervor and enthusiasm. The Kerala tradition with its Pookalam, Vadamvali, Uriyadi, Oonjal and Payasam followed in its own splendor and glory. Students wore traditional attires and even the teachers followed suit.Lots of fun filled games were arranged for the entertainment of the children. House wise competitions added to the joy of the occasion. So these were our undertakings and accomplishments during the first half of the year. More interesting and rich events are awaiting to be unfolded in the next term. The school offers classes from LKG to Std XII in Science and Commerce streams (CBSE). The location is a serene and rustic setting in Manvila, close to College of Engineering, Technopark, V.S.S.C, Kerala University Campus, KIMS and Medical College Campus.